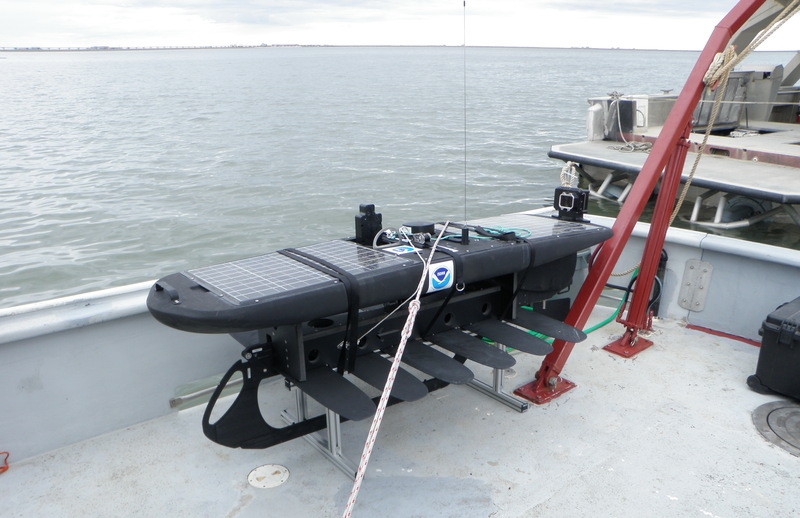 PMEL has partnered with Liquid Robotics Inc. to deploy Arctic Wave Gliders (AWG) collect surface temperature measurements during the ice-free late summer in the Beaufort Sea. Powered by a battery replenished by solar cells, the Arctic wave glider is a robust, cost effective platform for ocean observations. 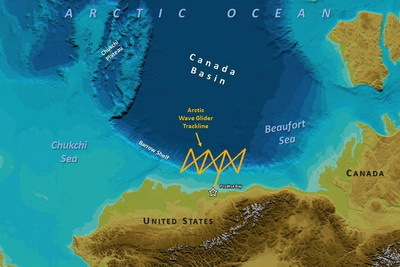 Two Arctic wave gliders were deployed from July 30-Sept 23, 2011 in the Beaufort Sea. 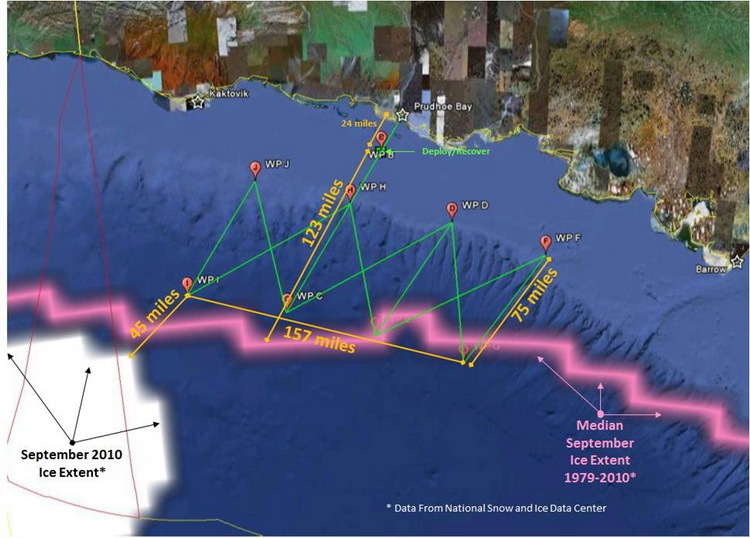 Each was outfitted with thermistors embedded in the tether in the upper 6m and ~900,000 discreet measurements were returned in realtime over the 55 day mission covering more than 1300 nautical miles. Twenty diagnostic photos were captured by a camera on the deck of the wave glider to better understand the local conditions near the ice-edge. Data downloads are available below. 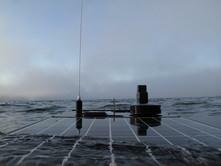 Arctic wave glider awaiting deployment (PrudhoeBay, AK, 31JUL2011). Trackline followed by Arctic Wave Glider in Summer 2011. Photo from the deck of the wave glider. 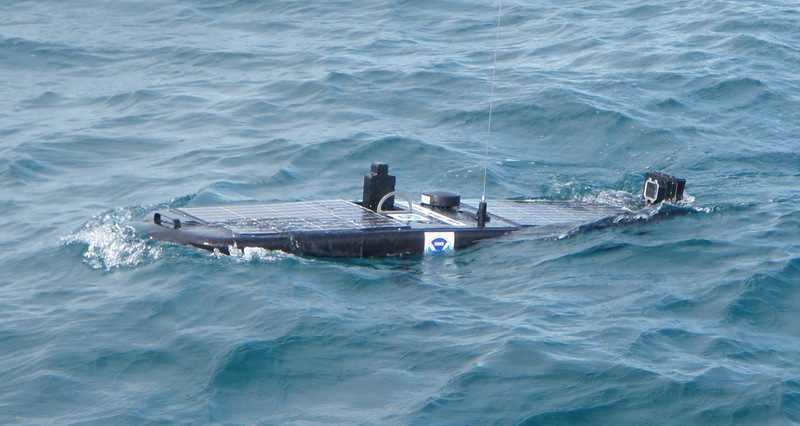 Arctic wave glider deployed in the Beaufort Sea during the ice-free late summer of 2011. The 2011 Arctic wave glider deployment tracklines are shown above in the context of typical sea ice extents.